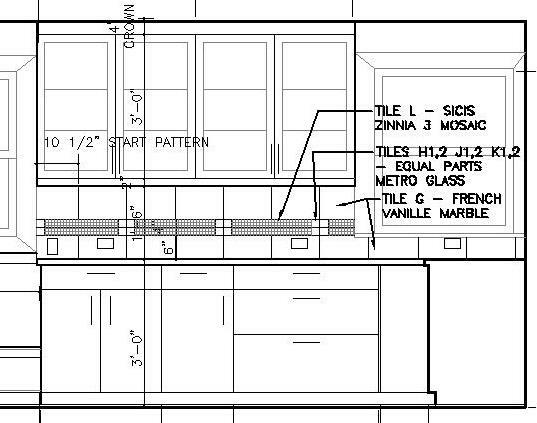 A focal point of any kitchen or bath, the backsplash provides a canvas for craftsmanship, but only if all the pieces work according to plan (and elevation). 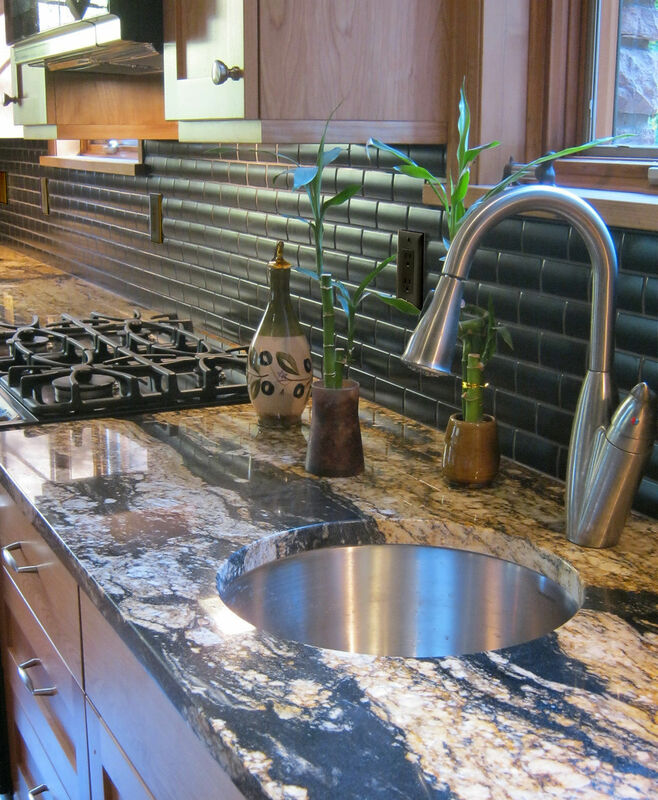 In this recently completed kitchen, Jeff Becker Construction paid close attention to the installation of the convex black tiles, chosen by the owners to complement the granite and appliances. 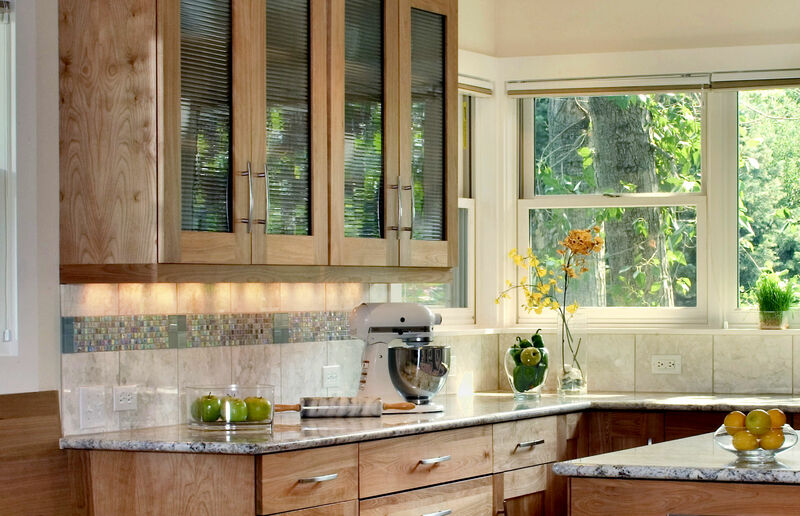 With so many beautiful choices and an enormous range of cost, I recommend you start thinking of the backsplash early in the process, along with or soon after selecting the larger items like granite and cabinets. The backsplash can harmonize or contrast these, serve as a visual background, or stand out as the focus of the composition. Select durable, easy to clean finishes. Seal absorbent materials (like grout or slate). 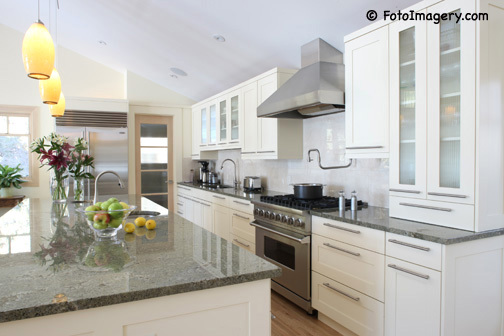 Continue backsplash to the underside of wall cabinets, mirror, or vent hood. Stay within the budget you have worked out, straying from it only as a conscious decision. Use more expensive materials as accents. Discuss whether the price includes patterns or special cuts. Consider the qualifications of the installer. It’s hard to beat the cost of low V.O.C. semi-gloss paint as a finish material. These clever homeowners had their builder, Classic Work Construction, install a sheet of stainless steel as a backdrop to the stove. The choice of bold color makes a strong statement. Locate and dimension all outlets and any wall-mounted accessories accurately to avoid having these interrupt the expensive accent band. At a bath vanity, accessories and required outlets can usually be located on the side walls, leaving the backsplash free for fun. The backsplash over this vanity also frames the mirror. A theme of contrasts is carried throughout, using glossy materials against rustic ones. 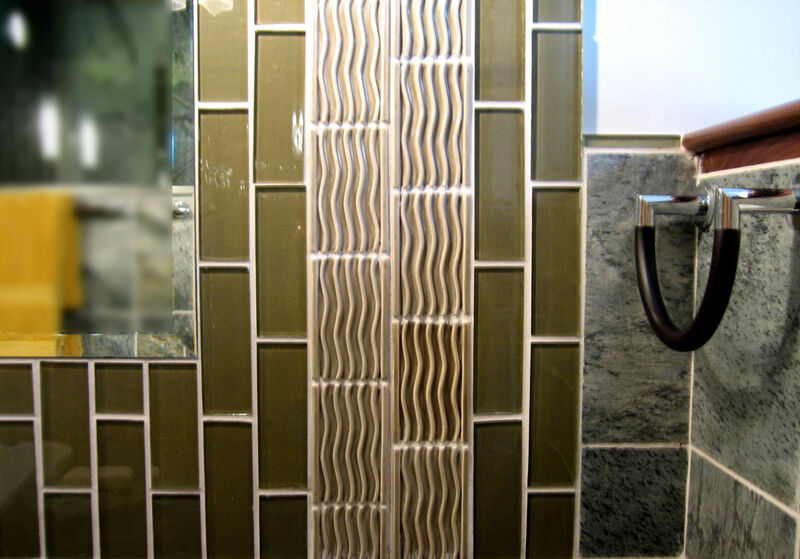 The elegance of the vertical glass tiles and glazed ceramic from Ann Sachs contrast the earthy look of slate, installed by Boxwell Construction. The towel bar by Ginger is made of polished chrome and wenge oak. 4) Style – When all of the above have been considered, the design will seem effortless. You will want to hug your carpenter, electrician, and tiler.